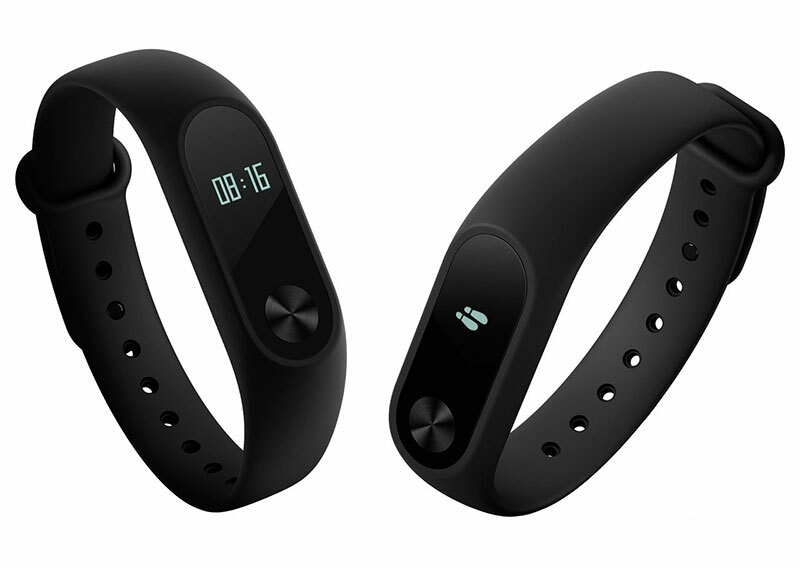 The new Xiaomi Mi Band 2 fitness bracelet features an OLED display that displays the current time, the number of steps, the heart rate, the distance traveled, the number of calories burned and other data. 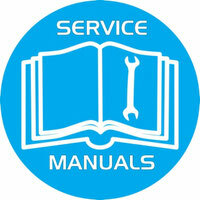 A special control button is provided for navigating through the menu. For maximum convenience, the new Mi Band 2 is equipped with a contactless control function, thanks to which the display automatically displays the current time after lifting the wrist, as when viewing the time on a conventional clock. 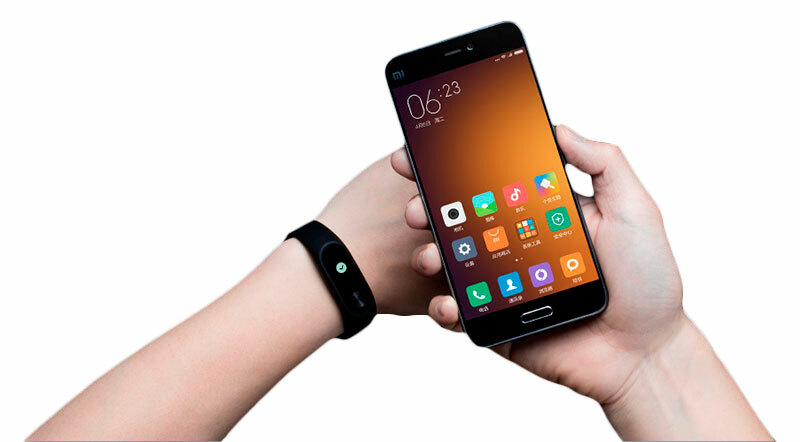 The new hardware platform Xiaomi Mi Band 2 has allowed to modernize the algorithm of counting the passed steps. Fitness bracelet recognizes the movements made in static, and does not take them into account when counting the steps. This improves the accuracy of measurements and ensures the reliability of the data. Xiaomi Mi Band 2 has a built-in motion sensor and heart rate monitor, due to which fixes changes in the heart rate. It measures the heart rate and displays the data in real time, allowing you to adjust the time and intensity of physical activity depending on the heart rate. Fitness bracelet will remind you of the rest! The new Xiaomi Mi Band 2 has a reminder function designed specifically for those who work a lot and spend the whole day sitting. 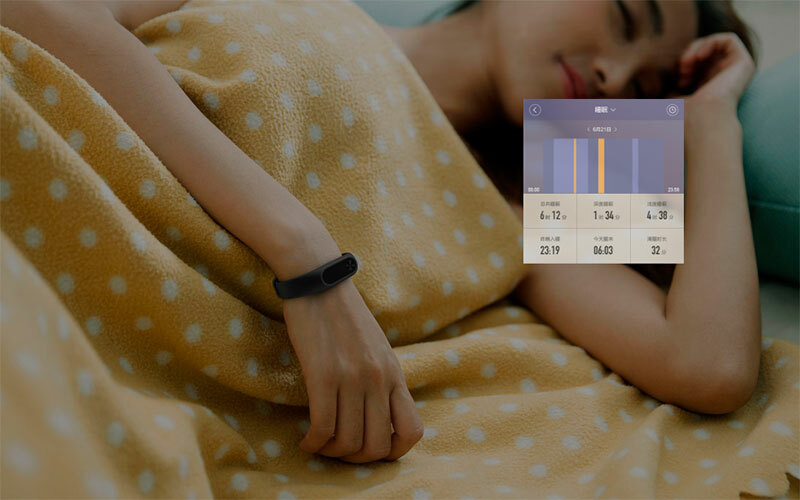 Fitness bracelet is able to determine the position of your body. In the case of a long stay in a sitting position and lack of movement, it will remind you through the vibration that it would be nice to get up and warm up, get out into the fresh air and recharge your energy. Is it boring to run alone? Jog along with Mi Band 2! Due to the soft strap material and light weight, the fitness bracelet is practically not felt on the arm and does not interfere during sleep. At the same time, it determines the duration and phases of slow and fast sleep. All the information received is displayed in the application, where you can trace and evaluate the quality of your sleep. Xiaomi Mi Band 2 can act as your identifier. You can easily unlock the screen of your smartphone, just by bringing it to the bracelet. The new Mi Band 2 promptly notifies the user of an incoming call or message via vibration. With him, you do not miss an important call, even being in a crowded crowd on a busy street. 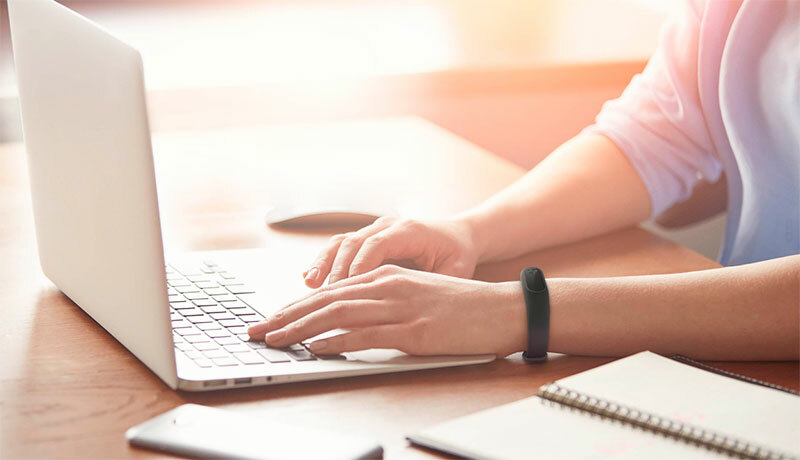 Xiaomi Mi Band meets the requirements of the international standard IP67, which guarantees protection from dust and the ability to temporarily dive to depth. He will easily transfer washing hands and showering. Also, it is resistant to the effects of cosmetics, household chemicals and sweat. The body of the main module is manufactured by injection molding and is covered with a special layer, which protects from exposure to ultraviolet rays. It has an elegant and laconic design, is resistant to scratches and fingerprints. The control button is anodized and decorated with a pattern in the form of concentric circles with a pitch of 0.05 mm, an overflow like a compact disc. 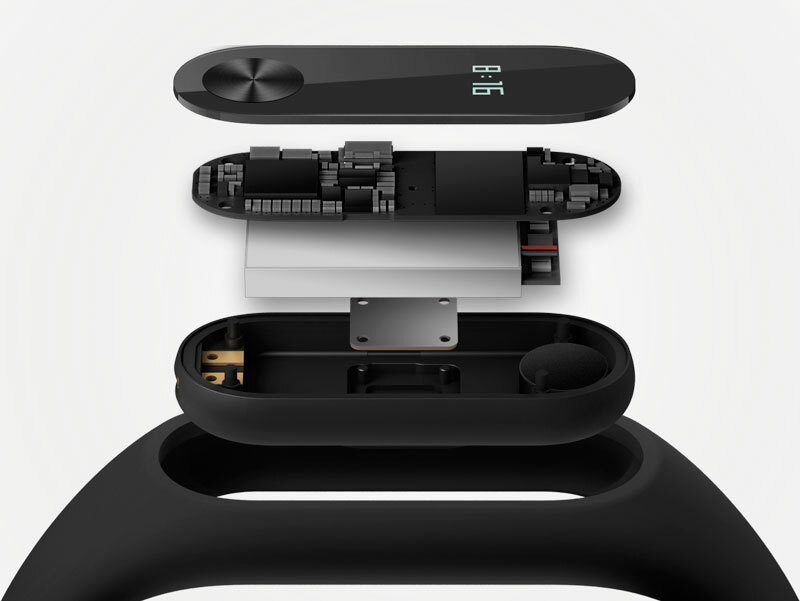 Xiaomi Mi Band 2 has undergone both external and internal modernization, combining advanced technology and high-quality parts. Designed by special order OLED-display is able to display various data in real time. 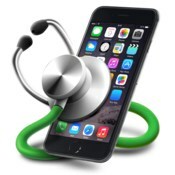 It supports touch control and is characterized by low power consumption. The new Xiaomi Mi Band 2 uses an energy-efficient Bluetooth 4.0 second-generation module from the supplier of power controllers for Apple. It economically spends the charge and increases battery life, while ensuring stable data transfer. The new Xiaomi Mi Band 2 features a unique design. The hole for the main module has internal protrusions that reliably fix the main module and prevent its slipping. The strap is decorated with a stylish button, held in the same style as the control button on the module. Unlike the first-generation fitness bracelet, the strap of the new Xiaomi Mi Band 2 combines two materials. At the location of the main module, a strong but at the same time resilient material is used, capable of withstanding multiple manipulations associated with fixation or removal of the module. The rest of the strap, which contacts the skin, is made of soft, skin-friendly breathing material, which causes pleasant sensations when worn on the arm. The new version of Mi Fit 2.0 has four sections: Status, Detection, Usage and Profile. Optimization has touched on functions such as counting steps, sleep mode, measuring heart rate, weight determination, etc., now they are displayed in separate sections. Also, the new version was enriched with the "Statistics" function, which allows you to view data for the day, week and month. Mi Fit 2.0 captivates you with simplicity and ease of use.